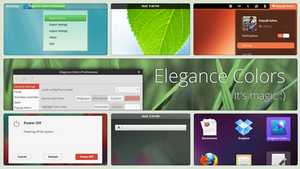 If you use Gnome Shell 3.6 or 3.8, please install Elegance Colors instead. 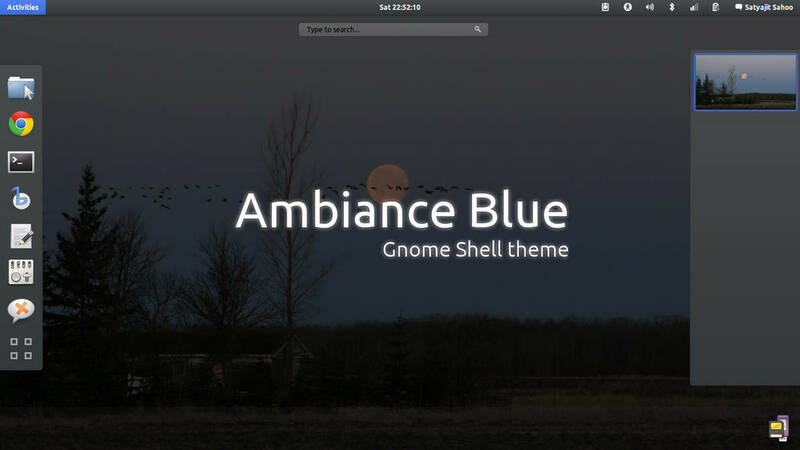 Ambiance Blue is a bluish Ambiance like theme for Gnome Shell. gsettings set org.gnome.shell.extensions.user-theme name "Ambiance Blue"
Creators of the Ambiance theme - Kenneth Wimer, James Schriver, Andrea Cimitan (C) 2010-2011 GPL Canonicol LTD.
half-left [link] whose works were a base for my first Gnome Shell theme. 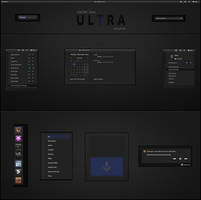 Andrew [link] for initial packaging for Ubuntu. 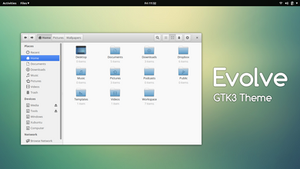 Sorry, but I'm not porting it to GTK3. I've to reduce my projects or it gonna be very difficult to keep all updated. Yeah. That's the point. Thanks for understanding. the close button remains orange, how can i fix this? 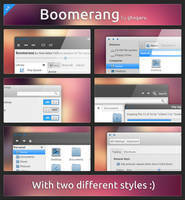 You can modify the css to the bottom panel of panel-docklet v3 comes in black ? The bottom panel in dark. 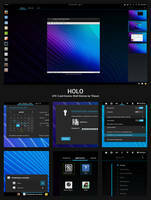 But with your theme appear in transparent . When you can update it to be black down menu? 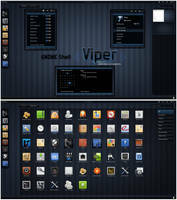 I noticed in the stylesheet of the viper that has no reference to the theme. How does that appear in black? but with the blue theme, obviously. 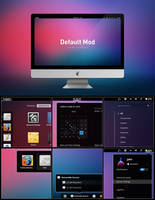 Nice theme! I really like it! 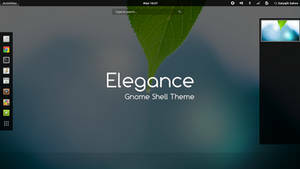 Is it possible to update this theme to work with GNOME 3.4? Thanks for this. I really like it. One thing is in activities window, when I search for a app, the highlight background for the selected app (which I can move with arrow keys) is weirdly white. If I move mouse and hover over an app icon, the highlight is correctly blue. Does not support 12.04 . 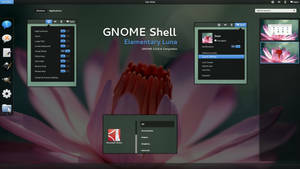 I will have to wait till the stable version of 12.04 releases, before updating it. Hi Satya You did a great work! 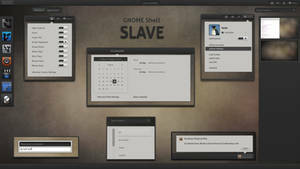 Only a question, which file and line/parameter do I have to tweak in order to get the dark toolbar background back? 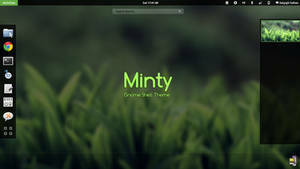 Very nice except for one little thing: Could you alter the "running" border in the Dock to look a bit more like Minty's? Or at least, something other than a faint outline. 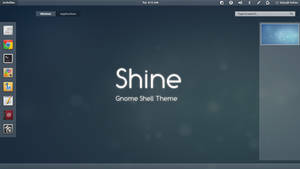 I want to edit radiance theme from ubuntu and just want to do one change in it that is changing color orange to Blue.. 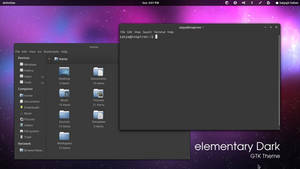 Try editing gtk.css file for the GTK3 theme and gtkrc file for GTK2 theme. Changing colors is not much difficult. Love the theme, but is there a way to make the places sidebar black so it fits the rest better? satya164, nice work. I don't know if it's me only, but it doesn't work properly here. 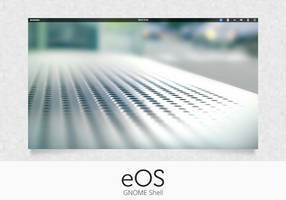 When I have a window maximized, the buttons "close, minimize and maximize" don't appear on the left-top corner. 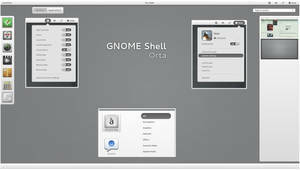 I'm using Ubuntu 11.10 and Unity. 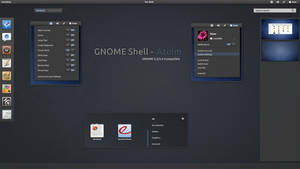 I don't have graphic acceleration, so I can't use Gnome Shell. Is the issue common or it's happening just to me? Thanks. I guess you are using Unity 2D? Exactly, Unity 2D. So, that's the problem? 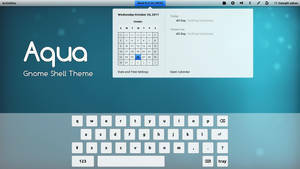 Isn't the theme compatible with Unity 2D? 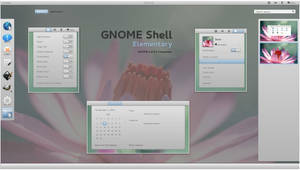 (Sorry, I'm a newbie on Linux.) Thanks. It should be compatible. I'm looking at it. 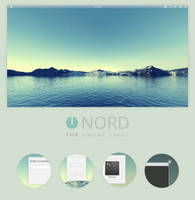 Thx mate, it's awesome, How can I make the title of window central but not left? 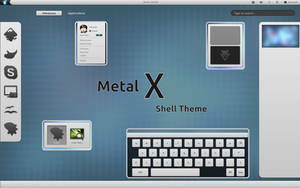 Unfortunately you have to edit the metacity theme, which is no easy. Nice work. 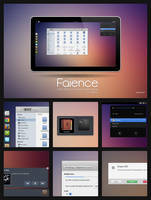 Ambiance is looking prettier now.